The origins of Attic Construction are described by the founders as “just us and a truck”. When they started in 2013, Joe and Yahav were the only employees. 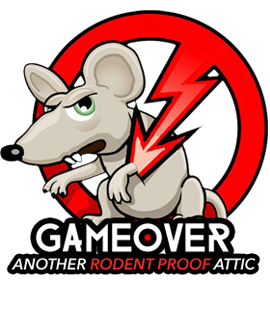 They used their past experiences working on attics in Northern California and Israel to start a business that they could call their own. Fast forward 6 years, the company has serviced over 5,500 homes, and expanded their size exponentially. Before they even started their company, they knew that their strategy could not be paralleled by any competitor in their industry. This strategy is built around three specialties: Training, Communication, and Equipment. By the time Attic Construction was conceived, Joe and Yahav were already pros in their niche line of work. However, they couldn’t have worked their way towards 5,000+ jobs in 6 years all by themselves, therefore, they needed to have an elite team of professionals working with them as well. Attic Construction employs a rigorous training program for each of their employees to ensure that they are not only masters of their craft, but in customer service as well. The founder’s perspective is that if one of their team members is only working for the money, then it is probably not going to work out. Instead, they want their team to be dedicated and be proud of the work that they do. Once a newly trained employee is ready to be part of the team, they are treated like family, as Attic Construction understands the importance of an employee feeling like they are appreciated and respected. Additionally, Joe and Yahav often host team training days. On these special and important days, none of their employees are in the field. Instead, they are back at the shop, sitting down with their team members, picking up a new skill or reforming an old procedure. The founders think that this is a valuable and distinguishable practice, as it not only ensures that their team is all on the same page about a specific procedure, but it also promotes team welfare and togetherness. Attic Construction’s next specialty is its communication infrastructure. They know the importance of being transparent and consistent with the customer as well as their team. That’s why they practice diligence and dexterity in their communication methods. Starting with their clients, Attic Construction ensures that all requests and needs are carefully taken note of and catered to effectively. Pictures are taken at every job site before, during, and after the visit, and sent to the management team for a thorough analysis of the work that needs to be done. The team member then shows the pictures to the clients to inform them of specifically what work they are going to be doing to ensure total transparency. Based on what work needs to be conducted, the team then works with each client to fit to their specific budget. Attic Construction’s hope is that every customer feels completely informed of the work that was done, and what they paid for. If you ask Joe and Yahav, they’ll tell you that employees are a company’s greatest asset. Because of their hyper-awareness of this fact, they understand that employees need to feel completely in the loop of all company decisions. For that reason, they like to hold what they call “tailgate meetings”. At these meetings, the team assembles to discuss jobs that occurred that week, give each other suggestions, and talk about company business. The founders believe that these meetings create a strong sense of community within their team, and think that it is a direct influence on their incredible customer service. Joe and Yahav take tremendous pride in the work that they do, and a big part of why their work is so elite is their top-of-the-line equipment. The founders do extensive research to ensure that their equipment is the best their industry has to offer. Beyond simply employing this leading equipment in their operations, there is a great task in maintaining its quality. All employees take measures daily to confirm that no equipment is damaged, dirty, or malfunctioning. 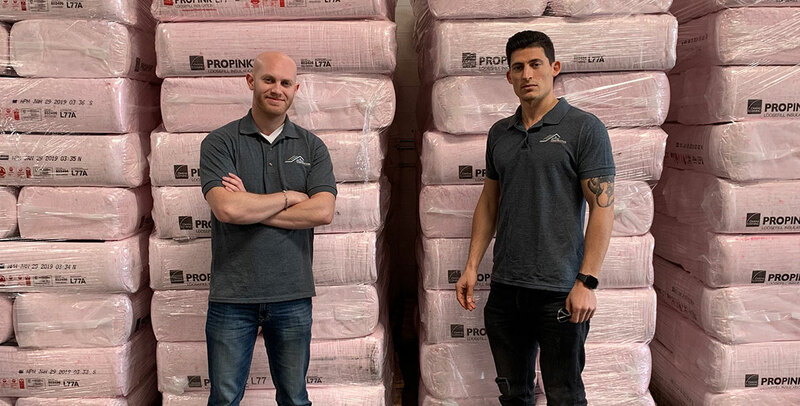 This may seem too tedious to some of their competitors, but Attic Construction believes that this process is their competitive advantage, or what makes them the best at what they do. To us here at Attic Construction, anything less than 5 stars in customer service is a failure. We want every customer who hires us to feel as if they were treated with the utmost respect and that they were a priority to us. The pride that we take in doing the job right is what drives our company’s culture, and that seamlessly extends into our punctuality, flexibility with customers schedules and budgets, and respect for property. We hope, more than anything, that we establish a relationship of trust with our customers, they feel confident in our work, and our business together is mutually beneficial.